Please stop by the Helen Crocker Russell Library of Horticulture at the San Francisco Botanical Garden to see the current exhibit of pastel portraits that I have painted over the past few years of various trees throughout Golden Gate Park. The show will be on view through April 29. Library Hours: 10 am – 4 pm (closed Tues. and most holidays). My aim in these portraits is to capture the distinctive charm, beauty and character of individual trees, as well as to convey a range of landscapes in the park. The trees are identified by both common and botanical name and the location of each pastel is shown on a map of the park. So you can “tour” the entire park from the dry, warm interior of this charming library. Let it rain! 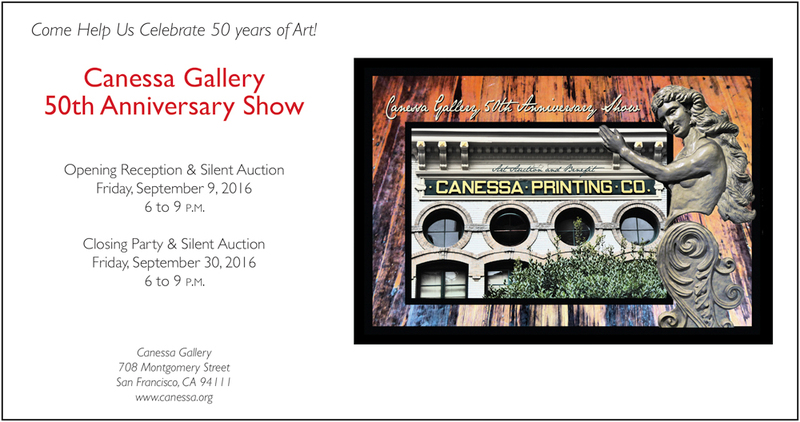 Tonight, Canessa Gallery begins celebrating its 50 years as an important piece of San Francisco’s artistic, literary, intellectual, and social history. Many artists who have shown at Canessa over the years (including me) have donated a single piece each that will be for sale during the coming month, with proceeds going to Canessa. (Note: Though the gallery is usually free, I believe there is a $20 admission to tonight’s fundraising celebration.) For a bit of history, you can check out this Hoodline article from 2015: http://hoodline.com/2015/08/canessa-gallery-a-hotspot-for-history-art-architecture. And the Canessa website link is this: http://www.canessa.org/ . Come down and be part of the scene!